In Age of Empires 3 The Warchiefs Expansion, they are actually 19 native tribes that can be play along with the three major civilization : The Aztec, Sioux and Iroquois. However the original game package did not have any map that put together all the nineteen tribes. 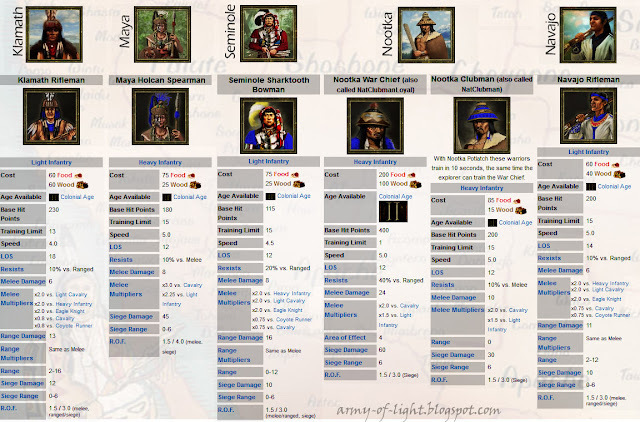 I actually created three Age of Empires 3 Custom Scenario that have ALL the NINETEEN Tribes on it and I will post it soon! 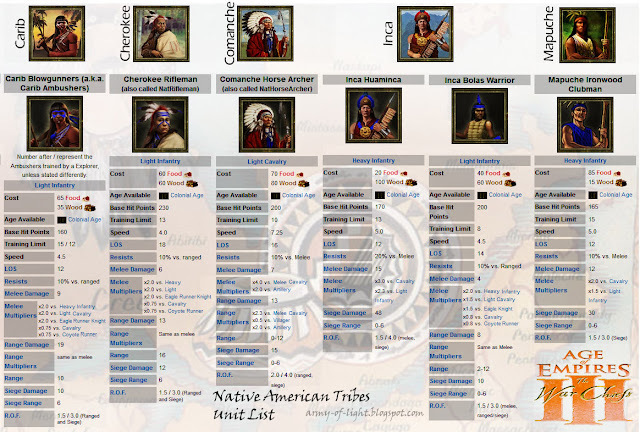 To get all the nineteen tribes socket, you will need to created your own custom scenario. In the Original version (aka. 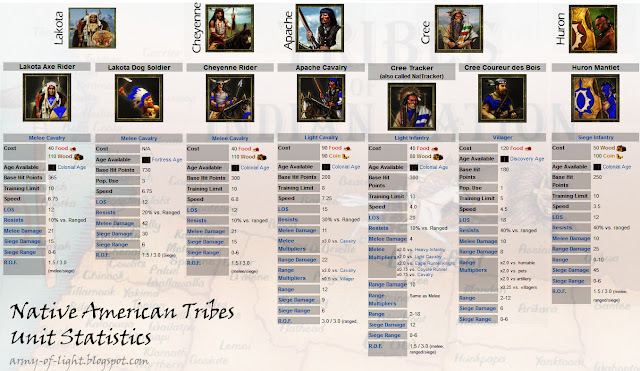 Vanilla version), the native tribes featured are the Aztec, Carib, Cherokee, Comanche, Cree, Inca, Iroquois, Lakota, Maya, Nootka, Seminole, and Tupi. In the new Expansion Pack - The WarChiefs they added more NAT and upgrade the status of the Iroquois, Lakota (under the name Sioux) and Aztecs to become major civilization. These civilizations were removed as the smaller, alliance based tribes and were replaced by the Huron, Cheyenne, and Zapotec, respectively. 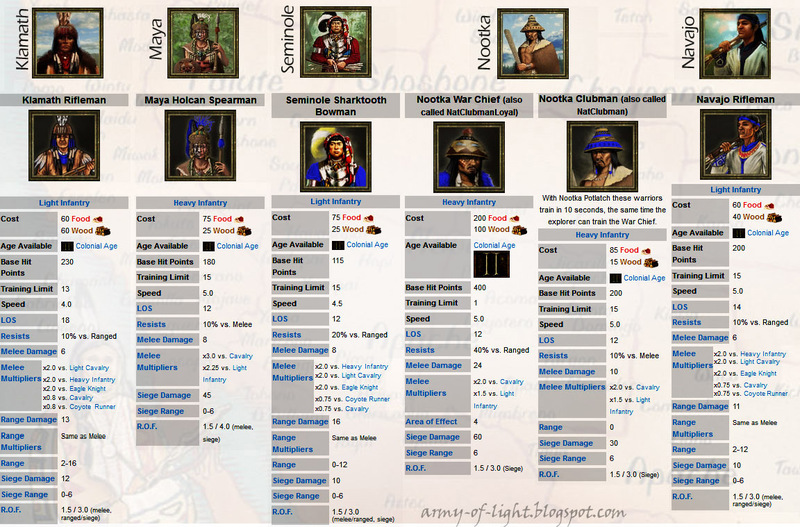 However, the Iroquois and Aztecs still remained in the game as native tribe and it can be applied via scenario editor. 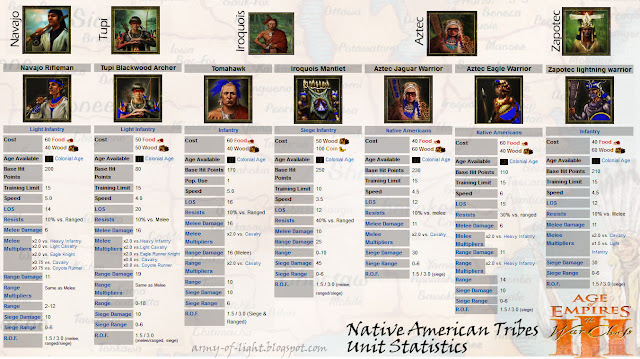 In all we got 19 Native American Tribes to play along. the Lakota Dog Soldier is send via tech in Lakota Trading Post - they created every several minutes.